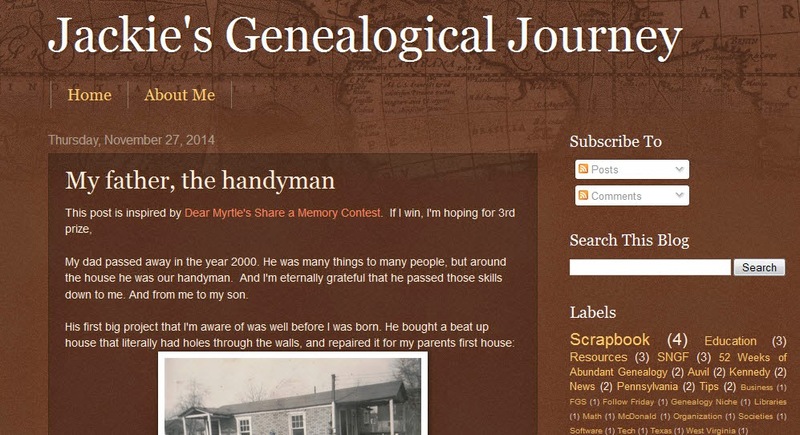 +Jackie Baker wrote My Father, the handyman in Jackie's Genealogical Journey blog where she shared a variety of pictures from her personal collection, showing how truly talented her Dad was. How Ol' Myrt would have loved playing with Jackie in the play house her Dad built for her. Mr. Myrt certainly appreciates the built-in bookshelves. 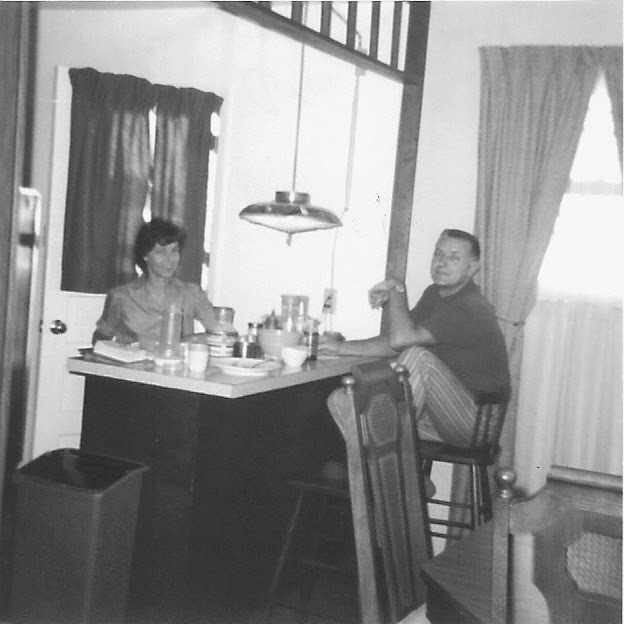 Here's Jackie's Mom and Dad at the breakfast bar he built. I think we had that same hanging lamp circa early 1960s! Though Jackie's father has passed away, you can bet this blog post goes a long way toward SHARING THE MEMORY of how he was able to make a house a home. Thank-you, Jackie for sharing this.